Today: The holiday season's lovable anytime cake -- breakfast, snack, and show-stopping dessert all in one. If food magazines were like fashion magazines, this cake would be the cape you're encouraged to wear to brunch, the mountaintop lodge, and the opera. 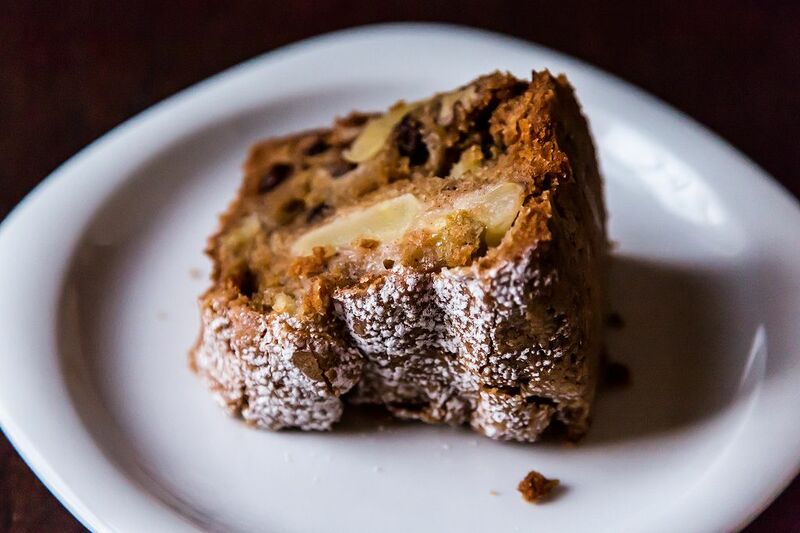 It has a chameleon-like ability to please everyone and fit in everywhere, and it is named, charmingly, Teddie's Apple Cake. 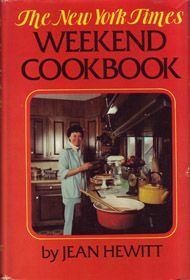 It was first published in 1973 by Jean Hewitt, former food reporter and home economist at the New York Times. 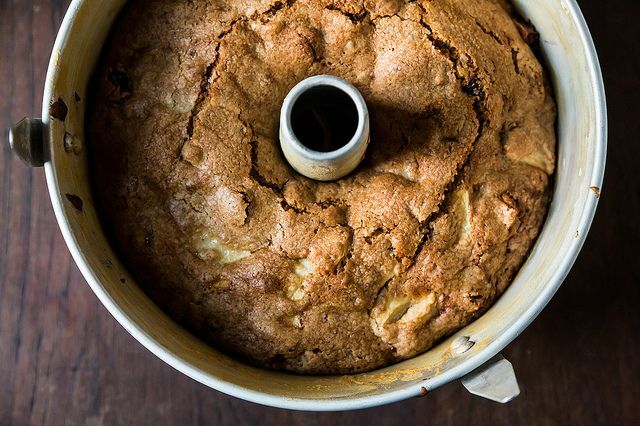 But it came to our attention more recently as one of the top five reader-recommended recipes in Amanda's book, The Essential New York Times Cookbook, along with other classics we know and love: David Eyre's Pancake and Chocolate Dump-It Cake. Serve it with coffee for breakfast, with whipped cream for dessert. Dust it with powdered sugar and set it aloft on a cake plate; or leave it out on the counter for all-hour snacks. Gift it; freeze it; portion it out for a bake sale. It will be amenable, and so too will be whoever is lucky enough to eat it. Awkward homonyms aside, this is the teddy bear of cakes -- lovable, warm, and wholesome. But you can give it some edge too. 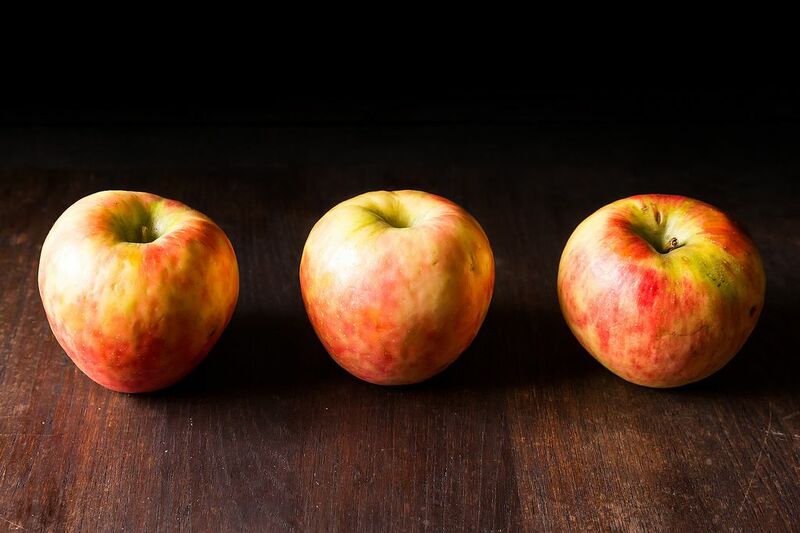 We've quietly, but definitively, moved away from the Red Delicious apples that Hewitt recommended toward more self-respecting Honeycrisp or Granny Smith. But push further: swap in booze-soaked raisins or darker sugars, whole wheat or olive oil. Douse it in this caramel glaze or this hard sauce. Amanda has toyed with every inch of this cake and rightly calls it "indestructible". • You don't have to wait for butter to soften. You can just hit the pantry and run. 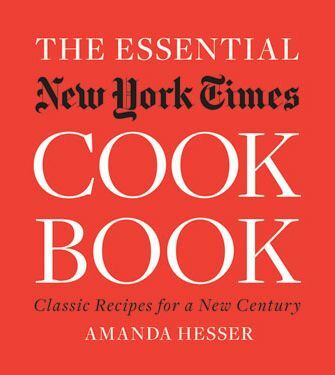 • It's kosher with meat or dairy suppers (if you grease the pan with oil too). 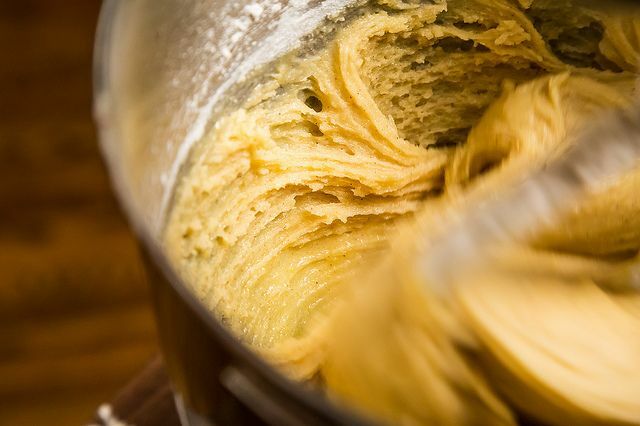 • As I learned from Shirley Corriher via drbabs, unlike butter, oil makes cakes especially moist and tender because it coats the flour's proteins, keeping them from soaking up liquid in the batter and forming gluten (which would make the cake both tougher and drier). As a result, this cake defies staling and keeps well for days. The tube pan really is the perfect vehicle for this cake -- maximizing the crust surface area, and allowing it height and girth. If you don't have one, you can use two shallower 9-inch cake pans or a bundt pan (but you'll lose that beautiful crust on the flip -- with a tube pan, you can lift the cake up and away without disturbing the crust). You may by now be asking: Who is this genius Teddie? We don't know. Yet. This marks the first recipe in our series with an anonymous genius. Jean Hewitt didn't let on in the original article "Just Desserts" (the recipe was accompanied by little more than an equally mysterious one for "Lee's Marlborough Tart"). So if anyone knows the whereabouts of Teddie, could you please tell him -- or her -- the internet is looking for them? And also thank you, from all of us. This looks quite good but, to my mind, 1 and 1/2 cups oil seems a bit much. Do you suppose less oil will do? Might I substitute applesauce for 1//2 cup oil? This cake is also excellent with pears. Amp up the flavor with about a tablespoon of orange zest (it's a big cake), and nutmeg, and you've got another excellent cake to offer for a big dinner party. 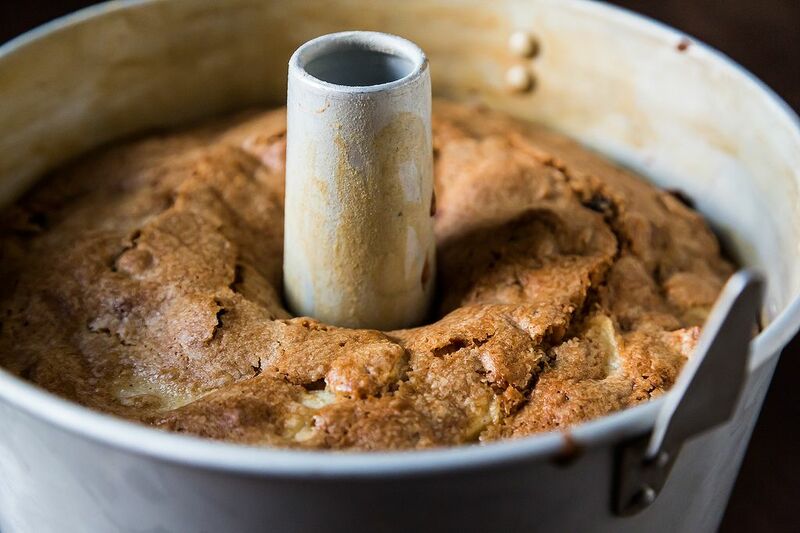 I made another apple cake that has gotten lots of great feedback on this site, but truthfully, I liked this one much more, so this will be my go-to apple cake recipe from now on. sounds like I have a recipe to try this weekend! I grew up near Sebastopol, CA which was famous for Gravenstein apples. My mother made this cake often from a recipe that I think was from a local newspaper (50's). I continue to make the cake with a few changes: I add a 1/2 cup of cream and I bake it in a heavy 9 inch cast iron pan. Perfect every time! Oh this is a very stiff batter and will put on muscle. 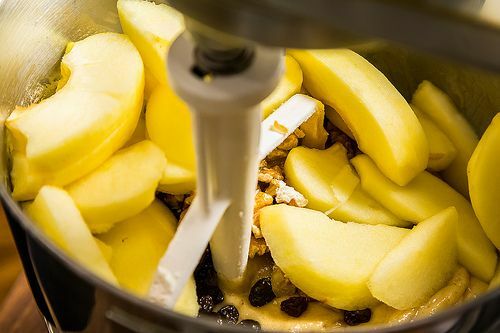 A good stand mixer will help, not a hand mixer, but eventually you will have to mix in the apples and nuts in by hand. I made this a few days ago using a hand mixer. Someone should have warned that I need to do lots of arm strengthening beforehand or pop some steroids or something, as mixing the batter took every ounce of my strength! Still, it was delish. I don't like food that sweet. I can't justify all that white flour, my tastes have changed. I understand what you mean tho. WW pastry flour isn't heavy like regular. You can even do it half and half. I would use orgnic WW pastry flour and cut down the sugar and oil. It would be a little different but good, healthier. I'd add nutmeg and allspice, lemon rind. 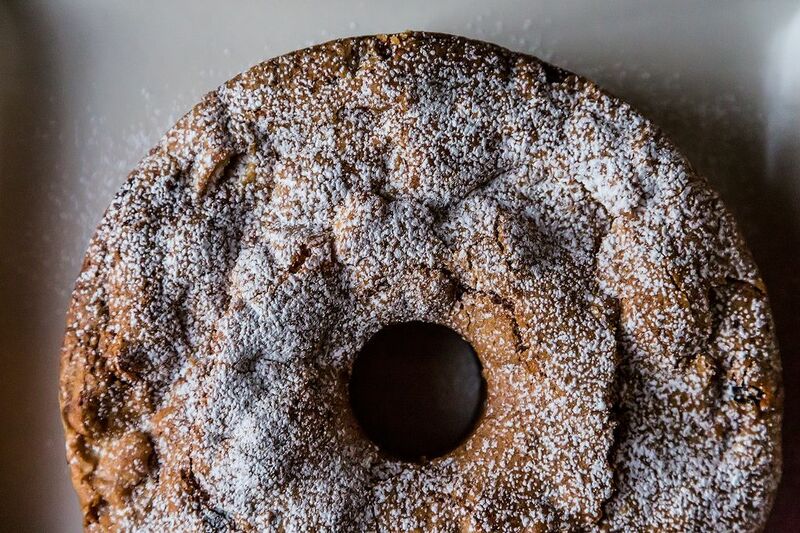 BEST TIP for making this fabulous cake: Add the flour-salt-cinnamon-baking soda at the very END of step 2 (after the vanilla, apples, walnuts, and raisins). 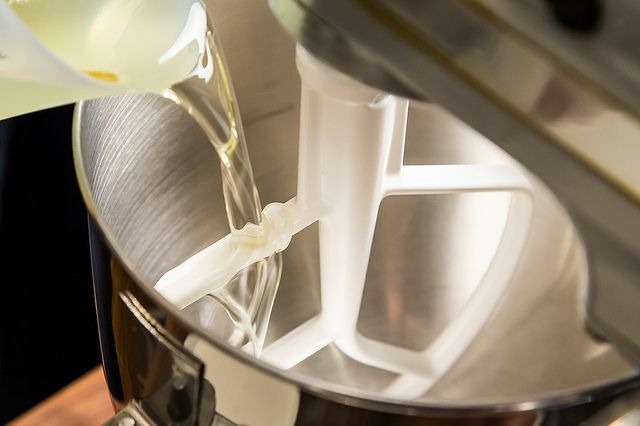 This way, the batter is very easy to mix with a spatula. 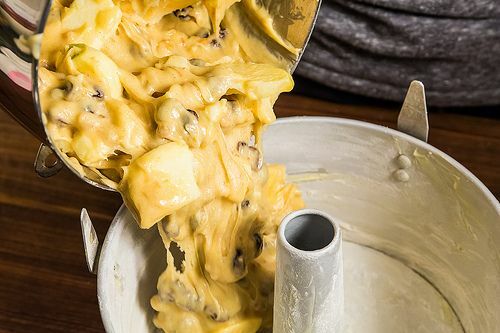 No need to drag out the stand mixer, but using a hand mixer is great for step 1. Thanks for a great recipe -- the sugary crust is wonderful! Omg.. I need this cake!!! This is a recipe that has been in my family for many years also. Many years ago, my mother started greasing the pan and then coating it with sugar instead of flour. It makes a lovely crust for the cake. Now that is the only way our family makes it. So fun to hear about all the places that variations on this cake have shown up, and how long it's been a go-to. Thanks, everyone, for your comments. I have my mom's similar recipe, also made with oil, but she always made it in a square 9X9 cake pan. I balk though, when I see cake recipes with 2 cups of sugar. Am going to try this with less sugar and see if it's just as good. Usually, it is! Did you try it with less sugar? I made this a couple of weeks ago and it was really delicious. I only had a few raisins and almost omitted them altogether but I'm glad I didn't. I'll make this cake again!